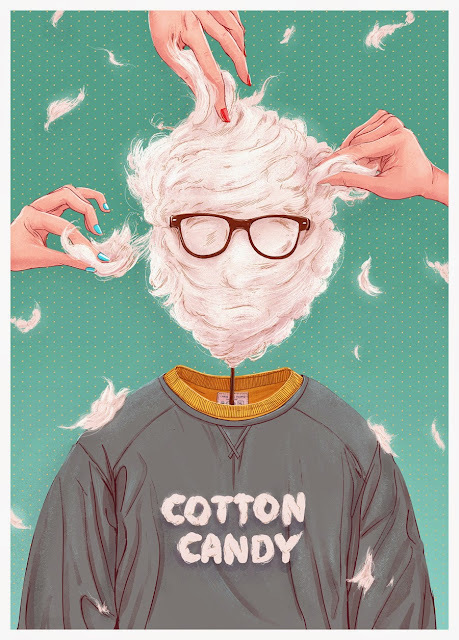 Michal Dziekan recently illustrated the poster for Karol Kolodziński's new short film "Cotton Candy" The film takes the main character, Marcel, on a journey through a park on a summers day to meet his girl friend, Alice. Along the way, Marcel encounters the girls of his past making him question both his current relationship and reality itself. Michal Dziekan created a fabulous poster for this quirky film making us squirm with anticipation for the film's release even more! Check out Michal's poster and a trailer for the film below! Check out more from Michal Dziekan here! Check out more from Karol Kolodziński here! Keep up to date with "Cotton Candy" here!